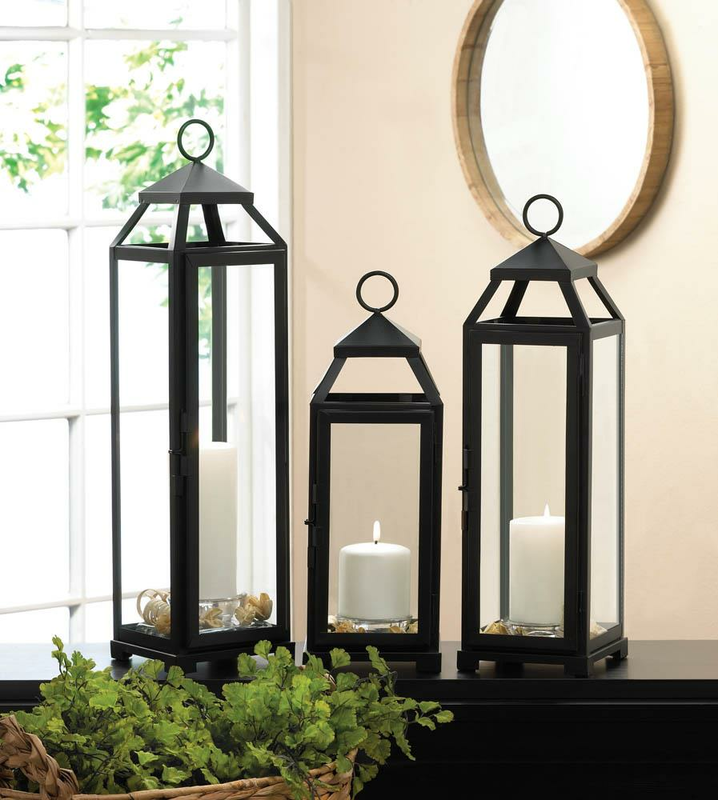 Dramatic style and classic design meets to create a stunning candle lantern that you’ll love having in your home. 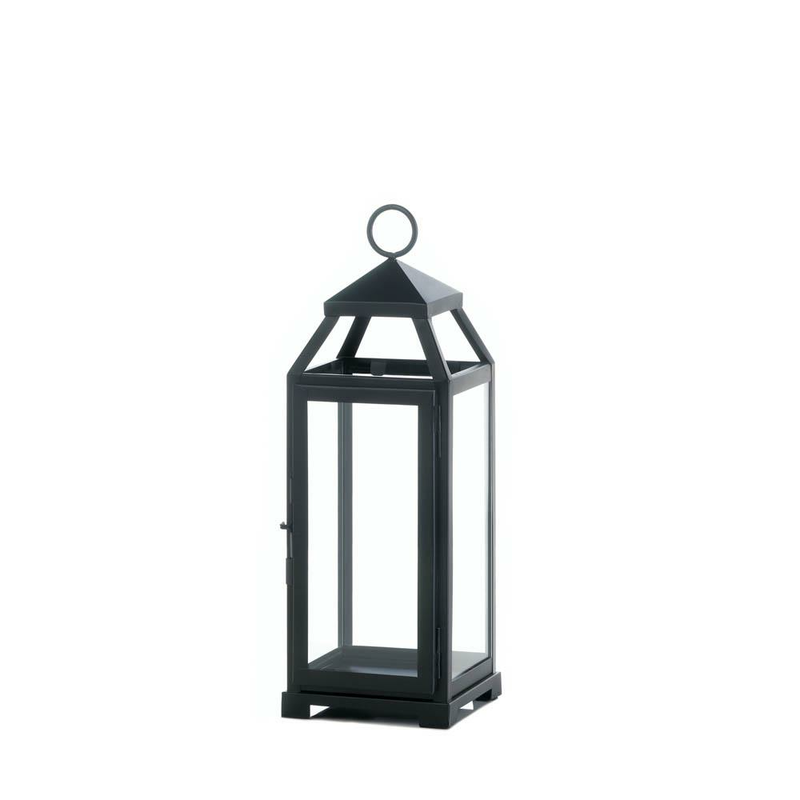 This medium-size iron and glass lantern features a hanging loop at top and a hinged door that allows you to fill the lantern with the candle or decorative accents of your choice. Weight 2.6 pounds. 5.5" x 5.25" x 15.5". Iron, Glass. UPC Number: 849179028497.